Amongst the grimy bars of lower Peel Street on one of the ugliest days of September, a ridiculous looking group of strangers stood in front of Montreal’s Salsathèque. Following the strict dress code enforced by Arcade Fire (formal attire or costume was mandatory), those patiently waiting in line resembled a business meeting lost in a cheap Halloween party. Those in line had already earned their entry by patiently waiting for up to six hours the night before. 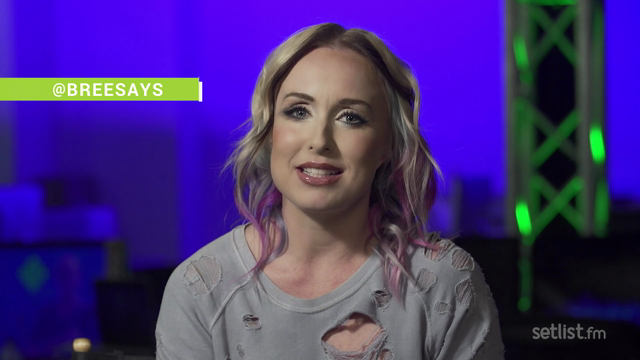 All had been turned down by security due to the tiny size of the venue (100-person capacity), but were rewarded with passes to the Tuesday show. And wow, the rewards were aplenty. After climbing two sets of stairs, the select few entered one of the most eccentric dance halls in the city. 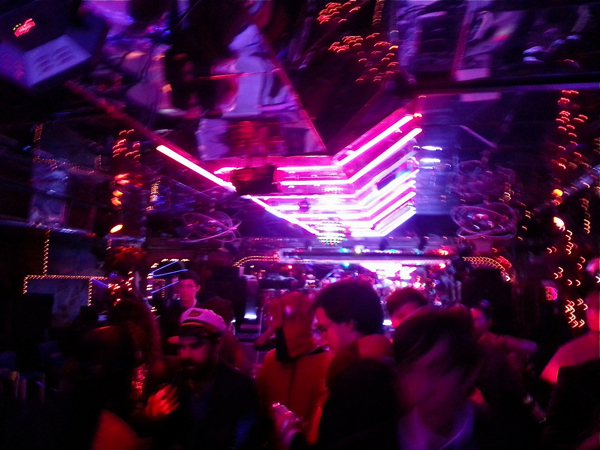 The Salsathèque is perfectly suited for Arcade Fire’s new synth/dance sound, illuminated with neon palm trees, blue and pink disco balls, and shiny mirrors from wall to ceiling. 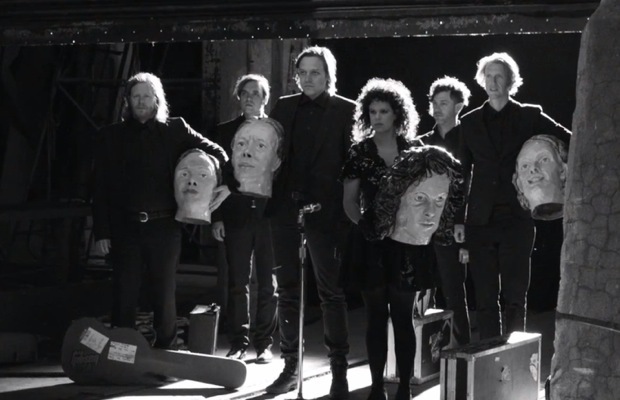 Upon entering the main floor, attendees were greeted by Arcade Fire member body doubles sporting the paper-mâché giant heads made famous through the recently released Anton Corbijn music video for “Reflektor”. By the time the audience had figured out that those were not the actual band members, a spunky dance teacher in a blue afro wig stepped to the microphone to choreograph a simple yet confusing line dance. After several attempts at rehearsing the five-step dance, the blue afro girl believed we were finally ready to meet “The Reflektors”. Being close to the front of the stage, I had my elbows up ready to block anyone from attempting to obstruct my view. I felt someone behind me pushing harder and harder to get through, so naturally I shoved backward. Turns out I had just shoved Tim Kingsbury. I quickly got out of the way of the bassist as one by one Kingsbury, Richard Reed Perry, Will Butler, Regine Chassagne, Sarah Neufeld, Owen Pallett, Jeremy Gara, Win Butler, and two new Haitian percussionists made their way through the audience to the stage. Arcade Fire would play nine new songs this evening (including the already released “Reflektor”), starting off with one presumably titled “Here Comes The Night Time”. At first, the multi-layered song carried a tribal flavor courtesy of the new Haitian percussionists before Win (wearing a tiger-striped mask) began a typical Arcade Fire wordy verse. The song’s chorus was contagious, with the audience quickly learning the repeated shouts of “here comes the night!”. The singing climaxed halfway through the lengthy track with a huge drop in the song sending Win into the middle of the crowd as he belted the chorus along with starstruck diehards. 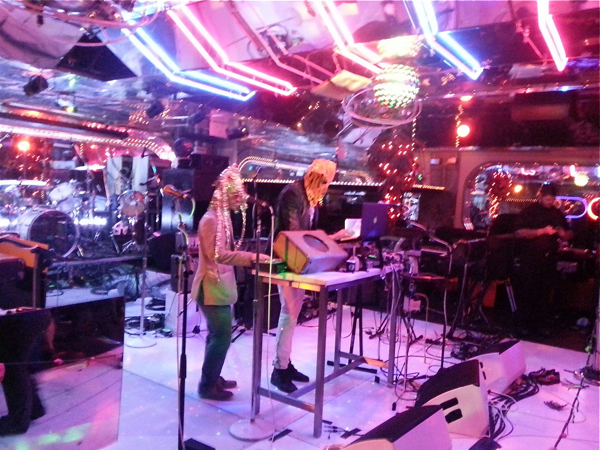 The next song began with rapid hand claps and percussion, which segued into a keyboard-led dance-folk song. This was the only tune of the night to feature an acoustic guitar, and wouldn’t have felt out of place on 2010’s The Suburbs. For most of the night’s songs, Arcade Fire combined world and dance music, the Haitian percussionists adding a new dimension to the band never heard before (think “Sprawl II” with a tribal drum track). It’ll be interesting to see how the very present live percussion translates onto the new album, as Richard Reed Perry later mentioned (when asked) that the new drummers don’t play on every track. The third song sounded like a mix between “Billie Jean” and “Thriller”, drawing arms up in the air from a dance-enthused audience. Following this, came one of the few non-danceable songs of the night, beginning with a swamp-blues guitar line that evoked 70’s Southern Rock before it segued into an anthemic chorus comparable to many of Arcade Fire’s finest. The sixth song was the absolute highlight of the night, with no other new track eliciting such strong crowd reaction. The song was almost Nirvana-esque with the entire Salsathèque jumping into each other and head-banging as hard as their necks would allow. The chorus of the song exploded out of a quieter verse in the same way Blur’s “Song 2” did decades past, and by then the sweat and moisture was pouring off the mirrored walls. On the contrary, the seventh track was the night’s most forgettable, though likely because everyone was still trying to catch their breath. Still, the band members encouraged the crowd to snap along to the hypnotic rhythms of the song, leading to a slow groove that was heavily bass-driven. Before the eighth track started, the blue afro girl returned to announce that the dance was off due to the restricted movement we had in such a cramped venue. In place of the choreographed dance, she encouraged us to go crazy and dance any way we could to one of the most danceable songs of the night. The entire show was being filmed in black and white for future use by the band, and as a result, the cameras were pointed directly at the crowd. The track was sung by both Win and Regine (who actually didn’t have many lead vocals during the night), and lyrically dealt with the end of summer. Naturally, Arcade Fire finished the set with an insane performance of this week’s head spinner of a new single, “Reflektor”. The entire crowd was singing and screaming the chorus with whatever energy they had left in the tank. Being the only song that audience members knew prior to the show, everyone gave it their all and it immediately became one of the greatest performances Arcade Fire has ever had in their home city, complete with a banana-costumed crowd surfer. 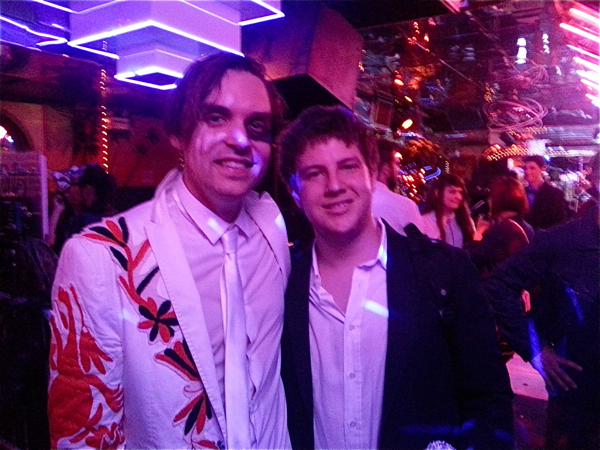 At the conclusion of “Reflektor”, the band members ran into the crowd and mingled with their fans over cold beers. Win spent most of the after-party dancing with fans to salsa tunes before taking the reins as DJ. 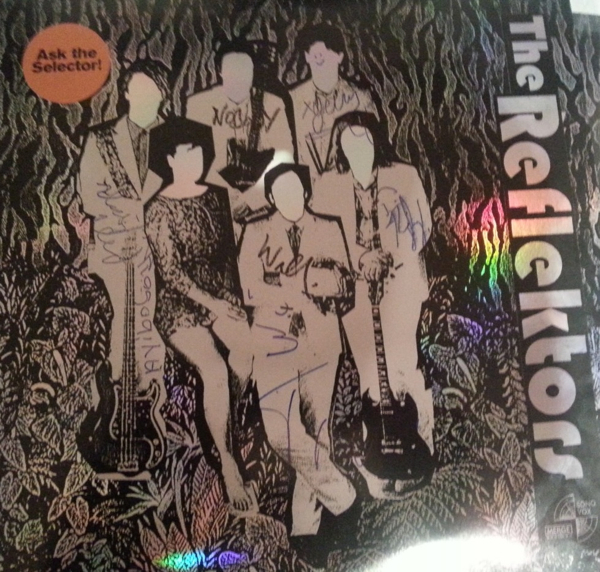 Twelve-inch vinyl singles of “Reflektor” were available at the door, and each band member was eager to sign the records for the fans and wanted to know what they thought of the new material. Judging from the night’s nine songs, Reflektor will mark a serious departure for Arcade Fire, as James Murphy’s involvement has shifted the band from the neighborhoods to the dance clubs. Nearly every song in the set was awash with synths, and hips were swaying to and fro even at their most “rock ‘n’ roll” moments. It’s only improved their live show, however, turning an emotional experience into a test of endurance. What’s more, the sweeping choruses of Funeral, Neon Bible, or The Suburbs continue to pummel you towards the stars. In other words, grab a green highlighter and set a reminder on your calendar: October 29th is the day of reckoning.